They say that nothing in life is certain except death and taxes. In your work life, unless you are lucky enough to work remotely 100% of the time, you can also count on an office move happening at some point. This can mean moving a few offices or cubes away from your current location, moving floors in a large building, heading a few blocks away, or even going to a different town. Regardless of distance, the office move means two things: you need to clean out your office space, and it is never fun. Years ago, while Human Resources Director for an investment firm, the office made a move that shortened my commute by several blocks (glass half-full), and also meant that I was going from a 400 square foot office to a cube (glass not even half full). Our lease was up, and the CEO wanted an open office environment. Panic ensued. While much of my office space was taken up by items that would not be needed in the new space such as a large table with four chairs, two club chairs, floor lamps, and floor-to-ceiling bookcases, I had been like water, eventually filling the spaces with plants, artwork, books and other mementos. Give employees a tour of the new space, even if it is still very much under construction, and have them see an example of the space they will be moving into. Showing them pictures and giving measurements helps, but being able to visualize the actual space makes it possible to make informed decisions on what should be included in the move. Suggest a number of boxes that everyone starts with. One of the IT people came up with this, which was humorous considering that his office looked like something from the TV show Hoarders. His rationale was that anyone trying to move 7-10 boxes into a tiny space would find that they had moved way too much. We started everyone with five, and suggested that if possible they should shoot for three. I was pleasantly surprised to find that the average number of boxes moved per person was four. Hold weekly “cleanup” days once a week for several weeks leading up to the move. Doing the move in baby steps makes it less overwhelming. Personally, I divided my office into six sections and each week would tackle one. Reduce and recycle. Have each department work to find ways to digitize all the paper, put out huge shredding and recycling bins, and anything that needs to be kept but can be relocated to an off-site storage facility should be done ahead of the move. Doing this saved us a ton in moving costs, and while we opted to hire temporary staff to do much of the scanning and preparation of boxes for storage we still came out ahead in cost savings. Plan an office yard sale/swap/donation event. While some items made their way home, many things were not going to work there or the new space. People started offering rugs, lamps and artwork for free or trade, and about a week prior to move day we collected any personal items that were not going to make the cut and donated them to a thrift store benefitting a great local nonprofit. Win-win! Manage the people aspect of the move. 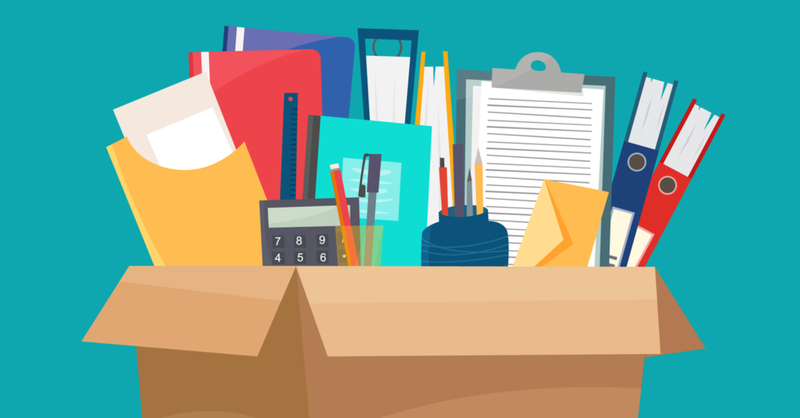 Moves are right up there as one of the most stressful things we humans go through, and an office move is no exception. Since we were also having the seismic shift to open office space, I found a great consultant who specializes in office protocol to come in and do training sessions with the team on how to navigate the cultural change we were about to experience. Helping everyone to understand that an open office environment would have its own unique challenges and benefits made the transition smoother overall. Any move is jarring. Be patient, be kind to yourself and your colleagues, and remember, this too shall pass! Cindy Joyce is the CEO of Pillar Search & HR Consulting, which provides executive search and human resources consulting services to exceptional non-profits and mission-driven organizations. A woman-owned business, Pillar is based in Boston, MA, and works on both a local and national level. For more information, please visitwww.pillarsearch.com.